Just thought I’d show you another outfit. This is what I’m wearing today. 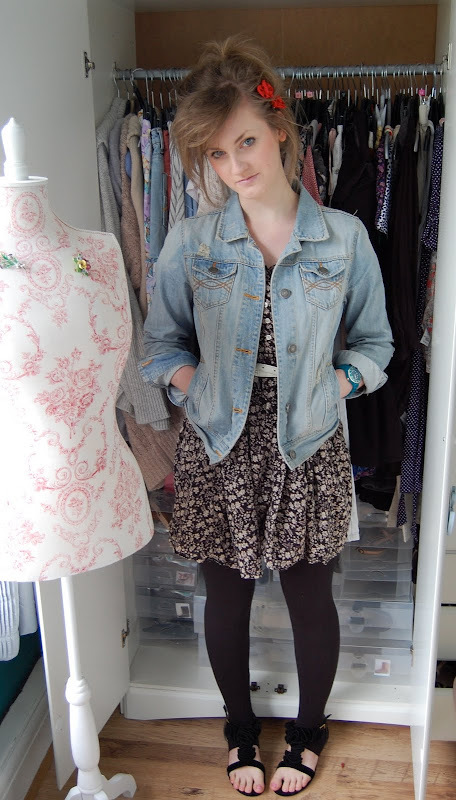 The dress is ASOS, the denim jacket is Primark, the leggings are Topshop, and the sandals are Dorothy Perkins. LOVE this outfit! Florals and denim – yes! So pretty.